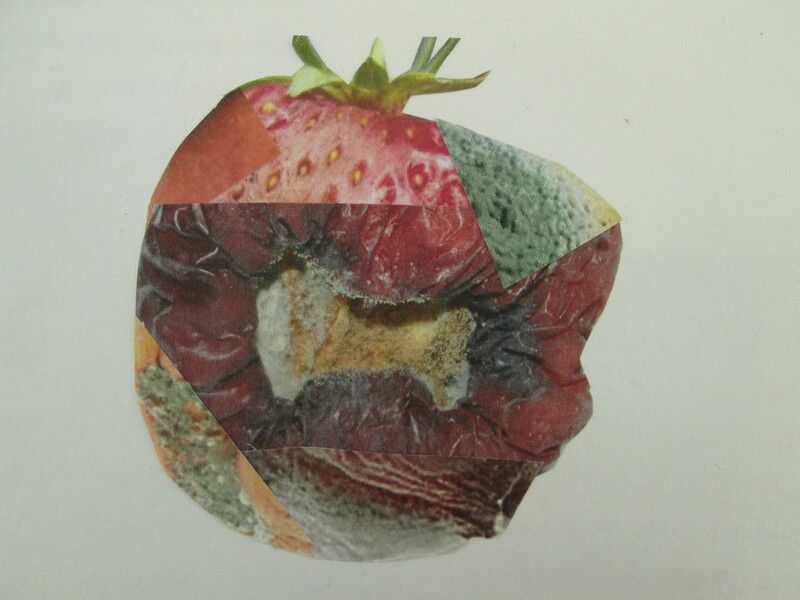 Time is embedded in PHOTO MONTAGE. You are creating something new from something old or existing. I never expected these montages to be as successful and effective as they are. I like that it was accidental and that they came to be from my experimentation and desire to try something completely new. 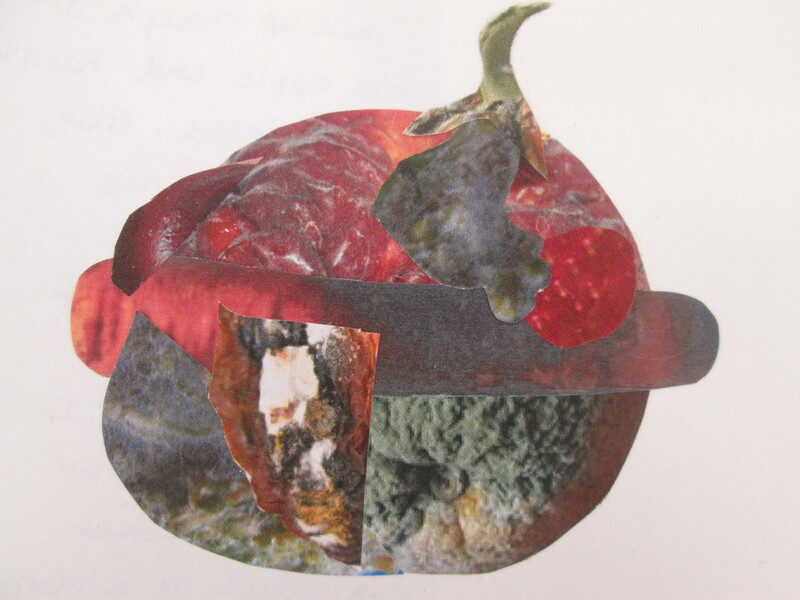 I have used existing rotting foods to create new ones that I think are quite believable. They are starting to look as if maybe they could exist in reality. 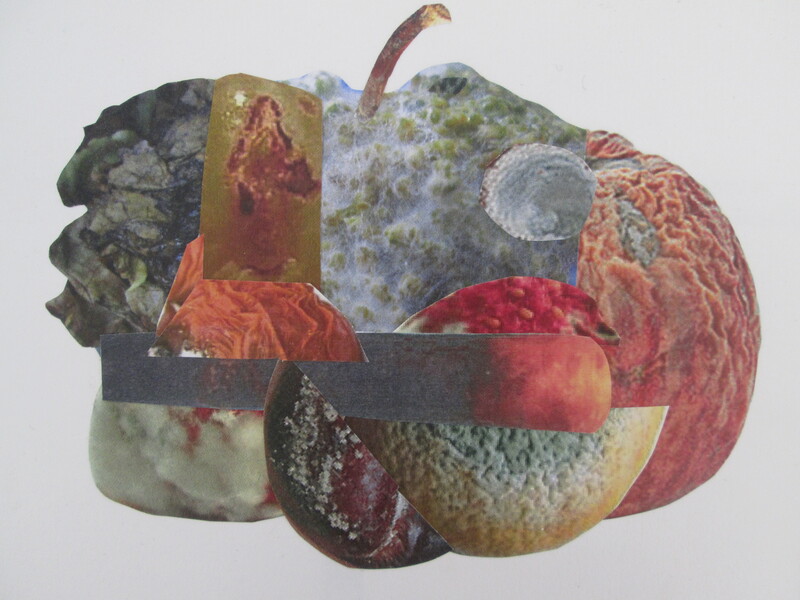 I am excited to start using these images to paint from and to create mixed media works from. I would like to paint them as if they were real objects and evaluate the result. Photo Montage is a great way of getting your ideas down quickly and effectively. It is also brilliant reference for producing paintings or drawings. 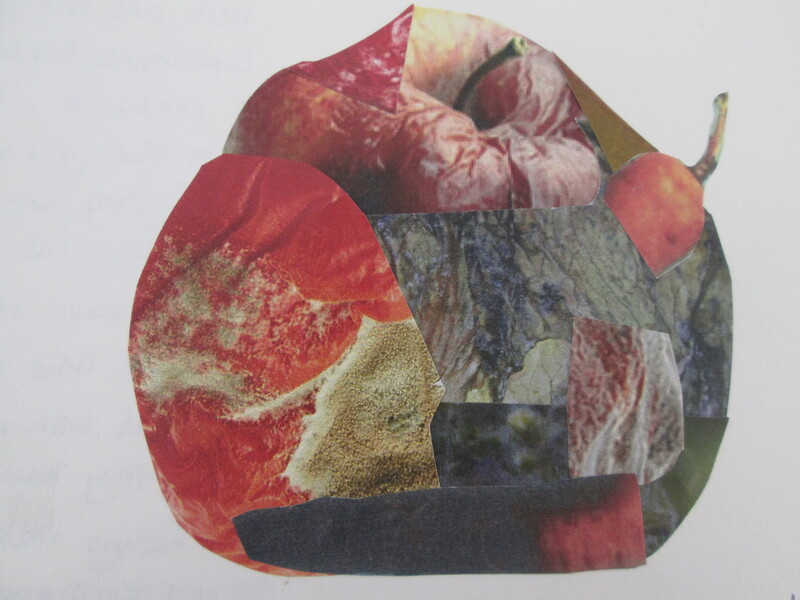 These pieces that are created from montage have a sense of time deeply embedded within them. As you are creating something from something you’ve already created. 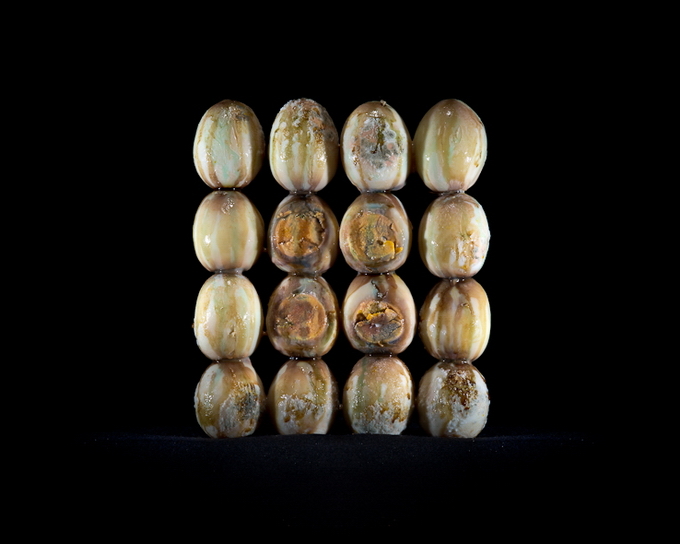 Photography that makes decaying food look almost beautiful and far more appealing. 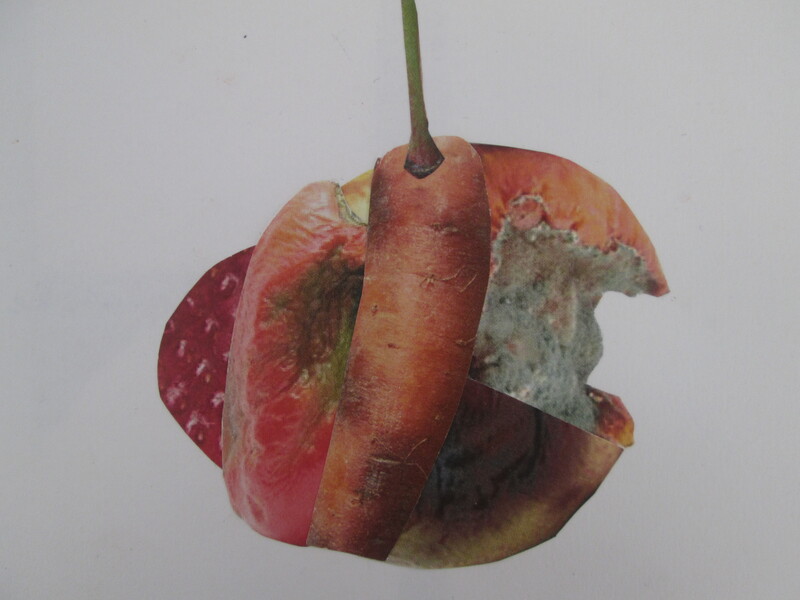 This artists work is of high inspiration to my project. 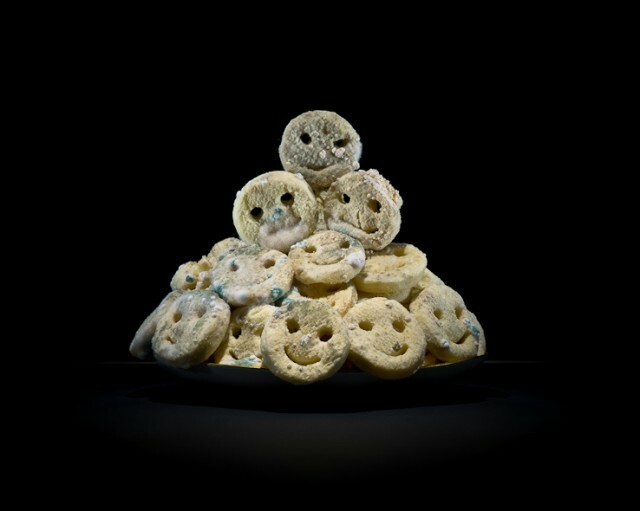 Klaus Pichler is a highly talented photographer that focuses his work around the natural decay and moulding of food items. His Photo composition is very well-balanced. Something as simple as a plate of smiley face shaped potatoes starting to mould suddenly become very interesting and considered AS ART. I feel that the black background heightens the object and in some way focuses our attention towards it. This work is very simple but extremely effective. 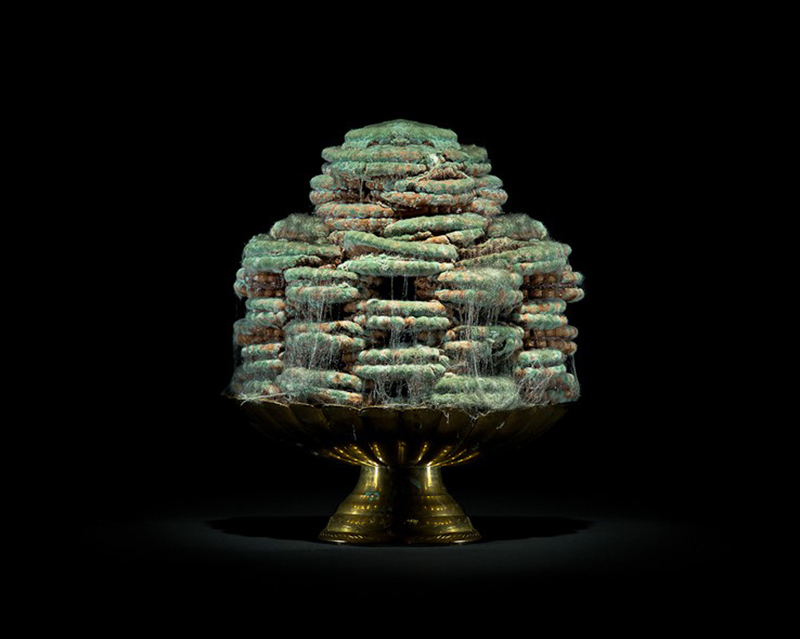 The Imagery is highly powerful and invites the viewer to consider moulding objects in a new light. HIS WORK INSPIRES ME TO BE CONFIDENT ABOUT MY PROJECT. 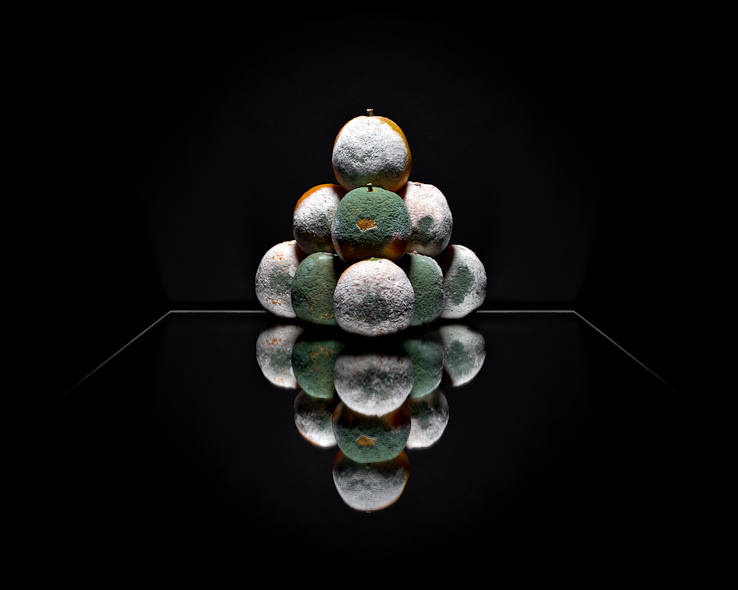 I was a little worried that my perception of time was to simple and the idea of decay was to vague but Klaus Pichler has managed to achieve some very beautiful and capturing material using food decay as a starting point. 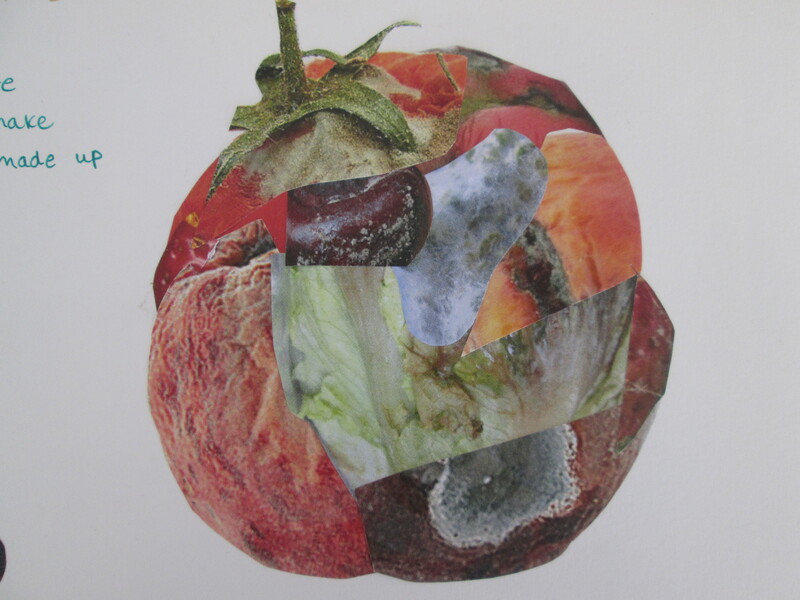 It is unusual work, and i want my project to give people an insight into how time affects the breakdown of food and maybe even make them consider it in a new light. 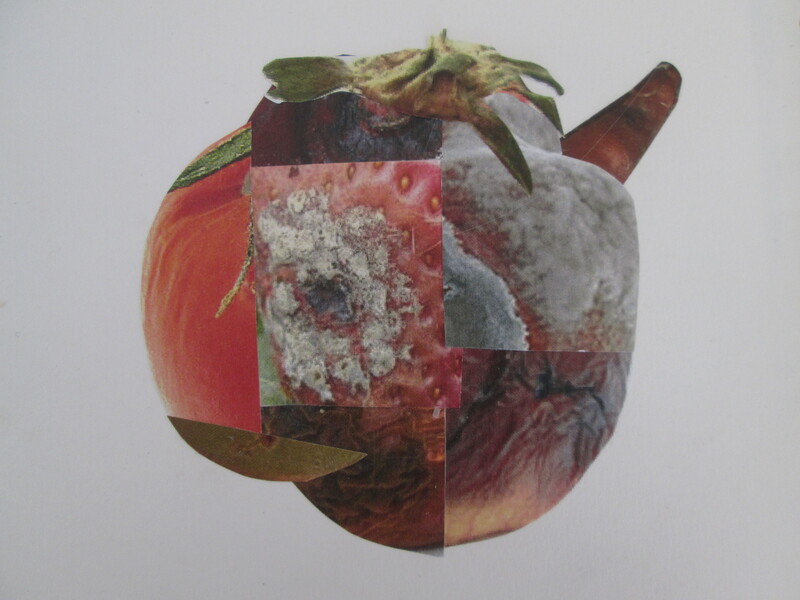 The mould in this work is not displayed as something horrid but almost as beauty. 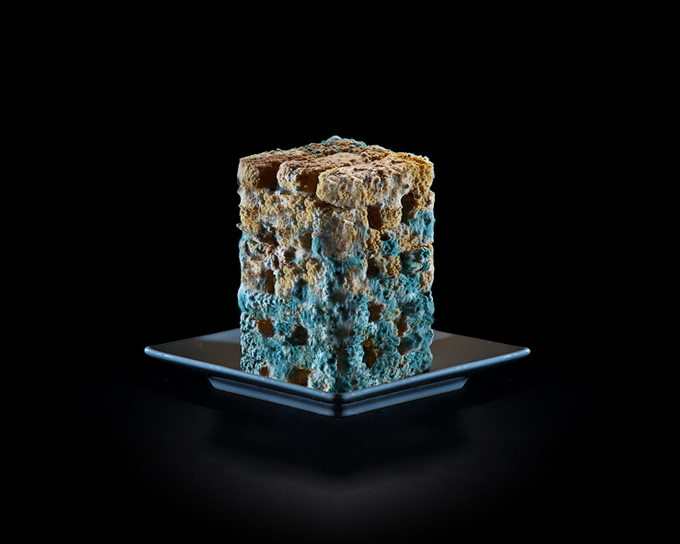 This completely turns the stereotypical idea of mould and decay on its head and almost encourages you to want to look at it. A completely different view to if you experiences this kind of decay happening in your own home. 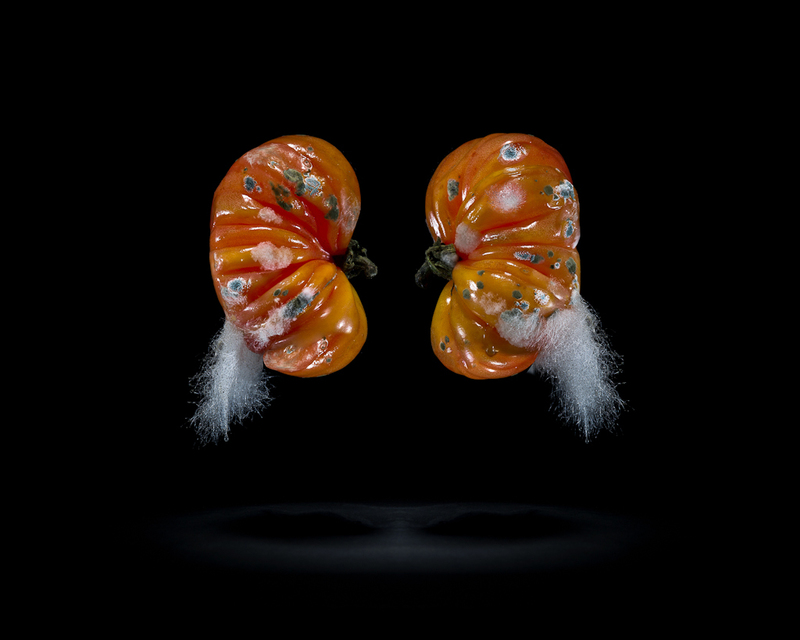 Klaus Pichlers work is highly inspirational to me and has already got me thinking about many possibilities and artistic ideas within the realm of food decay.